The Franklin Johnston Group is a developer and manager of multifamily residences in the senior, luxury, and affordable housing sectors. The group develops and manages more than 14,000 units and 85 properties in 7 states along the East Coast. 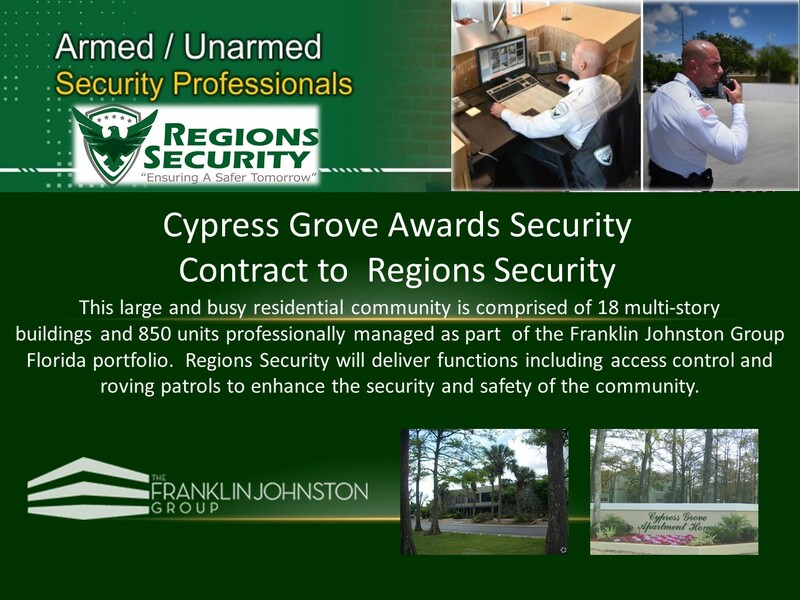 The Franklin Johnston Group portfolio is composed of its own properties as well as those owned in partnership with various individual and institutional investors. The company develops new properties and acquires and rehabilitates existing communities. 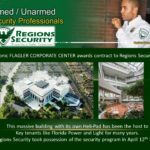 Regions Security has aligned itself with the real estate mogul to enhance the living environment of the residents in their communities by providing both physical and electronic security, access control, and expert security evaluations. 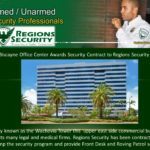 Congrats regions security! YOUr company is one of the best I’ve ever used for the properties I manage. Thank you for what you do.